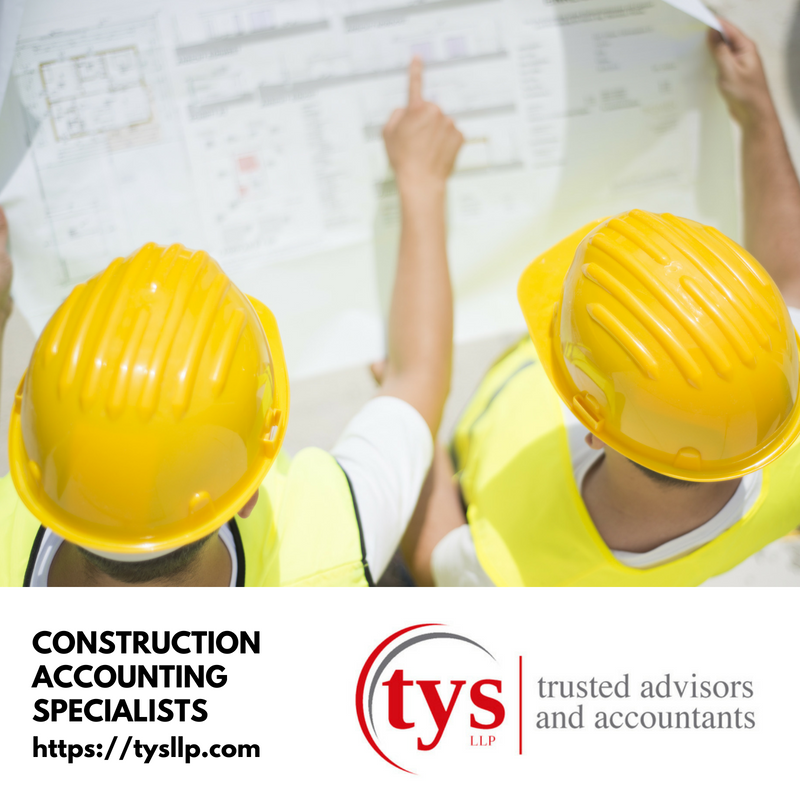 Learn how the right accounting service, with construction experience and expertise, can help reduce the costs of doing business, improve financial management, and ensure compliance. The foundation for building a profitable construction business may begin with purchasing quality equipment and tools and hiring experienced people to handle the business, but most owners know that whatever segment of the construction business you are in, it is vital to know how to navigate the fundamentals of good accounting practices, state and local compliance, taxes, reporting and much more. Construction accounting is significantly more complex than it is for most businesses. It is known as a form of project accounting when applied to construction projects and it is vitally necessary especially when multiple contracts are involved. The construction industry uses many terms that are not found in regular accounting such as “draw” and “progress billing” but there are many more differences than just terms. Here’s a look at how construction accounting is different from retail or other types of accounting. First, construction accounting categorizes every aspect of a customer’s project. The list includes: service work, consulting, engineering, labor, design, physical products and materials, and more. It also accounts for vehicles and equipment, which may or may not be owned by the company as a fixed asset. This type of accounting requires invoicing and vendor payments and business owners must fully understand such concepts as job-codes, cost-codes, and milestone-based billing, draw contracts, change orders, holdbacks, etc. Second, and most important, successful, accurate accounting is centered on the ability to track, report and categorize costs and other expenses in your construction business. Having and being able to utilize this data is essential for understanding how to bid on projects, which projects are profitable for your business, how to bill clients accurately and fairly, and how to make the most of your firm’s resources. When you work with a reliable, public accounting firm with decades of experience in the construction market, you benefit from their ongoing contact with bankers, bonders, and law firms. They will be able to advise you on tax rules, compliance rules and the latest industry best practices that could impact the growth and reputation of your business. Construction accounting also has complex revenue recognition rules and job cost accounting methods. Many firms have construction clients, but they have not dedicated the resources necessary to make construction a major practice area. The firms with CCIFP public accounting certification for the construction industry have demonstrated commitment to the industry and proficiency in all areas of construction financial management. Accurate job costing currently requires daily reports to be generated in the field and submitted to the accounting department on a regular basis. For those not working with an accounting firm, this undertaking is time consuming and can sometimes cause backlogs in paperwork and delay projects from moving forward. For those not using software apps, it’s even more tedious. Today, millions of construction firms contract with savvy CPA firms to manage all aspects of their companies accounting and financial management program. They ensure accurate accounting by implementing a software solution that allows workers to easily submit data on costing through a platform that is integrated with their accounting software. Software programs have become a tool that assists both the construction company and the accounting firm because all the data – progress reports, time cards, change orders, estimates, project costs and requirements, equipment specs more are digitized and stored. All the information is accessible to workers in the field, business owners and their accounting partners. So, regardless of the size or complexity of the construction company’s project work, it should be considered top priority for any construction firm to work with a highly experienced accounting firm and consider investing in the software applications that are most appropriate to your type of business. There are many additional services that may be to young construction services companies as well as more established ones. They include fixed asset management, tracking equipment costs, and depreciation amounts, as well as detailed job costing and project profitability analysis. Your trusted advisor at TYSLLP.com is here to help. We provide a competitive advantage by delivering over 60 years of construction market experience to our clients. Contact us on the West Coast at 925-498-6200 or the East Coast 585-678-9015.